Warner Lakes Dental - Dental Insurance: Use It or Lose It! Warner Lakes Dental – Dental Insurance: Use It or Lose It! The year’s end is stuffed with of activities. Family, school, and work obligations can keep you on the run, without time to pay attention to other important things. One of these important things to keep track of is if you have used all of the dental plan benefits that your insurance plan offers you. When it comes to dental benefits, millions of people annually ring in the New Year by leaving free money on the table. Estimates vary, but it is generally accepted that fewer than 5% of Australians reach or exceed the monetary limits of their dental insurance plan. No matter what plan you do have, it is very likely that it has an annual expiration date, and in most cases that expiration date is December 31. It’s up to you to make sure that these valuable dental dollars don’t go to waste, and Warner Lakes Dental is here to help you use them wisely. So let’s take a look at dental insurance, and what you can do to maximise it. Many insurance plans come with deductibles and other stipulations that share the cost of dental care with you. However, the arrival of the year’s end gives you a great opportunity to shift the bulk of dental expenses on to your insurance provider. 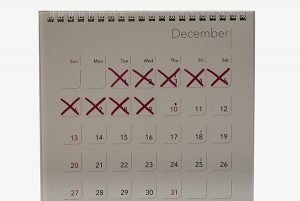 To get the most value out of the dental benefits you have earned, learn why it is best to schedule a dental appointment before the New Year. Reaching your annual max. Almost all dental insurance plans come with an annual maximum coverage cap. Usually, this annual maximum is regenerated each year on January first. Whatever you have left over is not rolled over to the next year, and this money simply vanishes. Obviously, it makes sense to figure out a way to spend this ‘free’ money if you can. Scheduling multiple-visit procedures across two years. If you need a particularly costly or complicated set of procedures, it makes good sense to schedule the procedures to begin before – and complete after – January first. This allows you to spread your benefits across procedures that might be too expensive in one insurance year. In this way, you reduce out-of-pocket costs and maximise your benefits. Minimising deductibles. Most dental insurance requires you to pay a predetermined amount of money out-of-pocket before the benefits kick in. This means that funding for the first treatments of the year can disproportionately come out of your wallet. But once you have paid your deductible requirements, consider scheduling an appointment with Warner Lakes Dental for any procedure you may have been putting off. With your deductibles already paid, these treatments can be better deals at the end of the year. Maximise premiums. If you pay regular premiums for dental insurance, you need to take advantage of them by reaping their benefits. Don’t just think of dental insurance as a safety net against the high cost of emergency dental needs; it can do much more. If you don’t have serious dental issues, take advantage of your benefits to have routine hygiene cleanings and exams that help detect and prevent gum disease, cavities, oral cancer, grinding, clenching, and other dental issues, some of which can become much more serious if not treated. Potential fee increases. 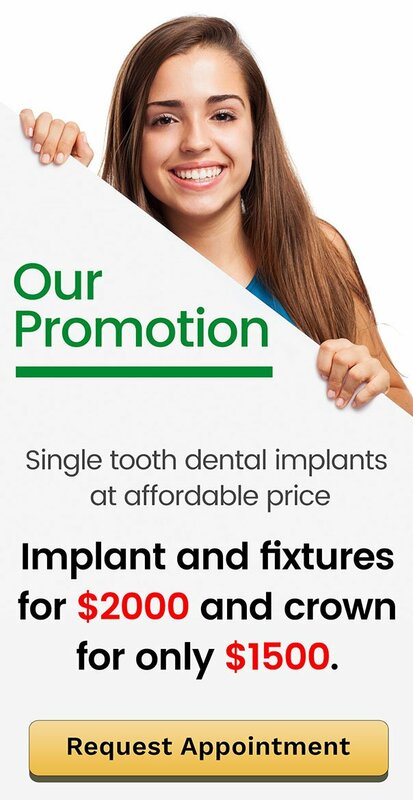 At Warner Lakes Dental we do everything possible to give you excellent treatment at an affordable price, but sometimes the increasing cost of materials or equipment force us to increase our prices. If you wait to get necessary treatments you may end up paying a higher price. Knowing this, doesn’t it makes sense to schedule your appointment now, before any potential price hikes. Dental problems get worse. Many of us love to procrastinate, especially given the prospect of dental work, which most of us don’t enjoy. Unfortunately, almost all dental issues worsen with time, particularly without treatment. In this case, procrastination leads to increased discomfort and higher costs. If you seek treatment immediately, before the year ends, you are likely to pay less for your treatment and have to pay for less complicated treatment. If you wait, you may end up paying more and may go beyond the financial limits of your insurance provider. Using available insurance money now saves everyone money later. To learn more about the insurance and payment options we accept at Warner Lakes Dental, just give us a call! Warner Lakes Dental wants your visit to be the quickest and most convenient dental experience possible. From parking to treatment, we try to make the entire process as painless and straightforward as possible. From routine check-ups and cleans to root canals, extractions, and cosmetic procedures, Warner Lakes Dental is your partner in dental health. We want you and your family to enjoy life with a stunning smile and healthy mouth, teeth, and gums! If you are overdue for a dental clean and checkup, the time to act is now if you are a health fund member. Most dental insurance funds offer no-gap cleans once or twice yearly, but your benefits do not roll over into the next year. This means that your benefits are wasted if you do not take advantage of them. Schedule through the end of December so that they can achieve maximum rebates and healthy smiles this 2018. Call (07) 3448 0162 or visit us at Warner Lakes Medical Precinct, 1185B Old North Road in Warner. Warner Lakes Dental and Your Dental Health in 2019!